A great teacher lives on in the lives of his students. 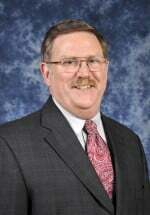 This week my high school history teacher, Mr. Dave Cook, passed away unexpectedly. And while on one hand it is tragic (my heart breaks for his family and especially his wife, who was also one of my teachers), on the other hand there is a sense of celebration. A celebration of an incredible teacher who poured his life into his students and who left behind a legacy of love, dedication, and influence. As former students share their memories of this great teacher, we can’t help but smile at his memory and recall with fondness the difference he made in each of our lives. For so many, he was their favorite teacher. Or at least near the top of the list. And while we are saddened that he is no longer with us in person, we rejoice that he fought a good fight and he finished his course. He lived such a full life, not because he lived many years, but because he impacted so many lives. Making learning fun. Mr. Cook always had a witty comment or a joke on hand, and he would go to any lengths to make history come alive. Boring would simply not be a word that could have ever described his classes. But it wasn’t just his sense of humor. He was intentional about using humor to help us learn – not just about history and the Bible but life lessons as well. There are just too many stories to share, but one of my favorite apparently happened more than once: If a student would fall asleep at the end of his class, he would tell the whole class to leave quietly so that the sleeping student would be left in the classroom alone. You can only imagine how hilarious it was when they woke up! He was also the master of hiccup removal. He would say something to distract you and then get up so close and scream at you when you least expected it. And the hiccups would be successfully scared away. Showing that he cared. Mr. Cook cared about his students – and everyone could tell. He made each student feel as if they were his favorite student and took the time to intervene in our lives when we needed it. I cannot even believe how many students he had a special nickname for or a special situation he teased them about. And I don’t mean make-your-life-miserable teasing; it was I-notice-you-and-find-you-worth-my-time teasing. That level of individual attention – without taking away from the group dynamic – is rare and valuable. Being genuine. Mr. Cook was a genuine Christian who genuinely cared and genuinely loved. And his students respected and loved him for it. 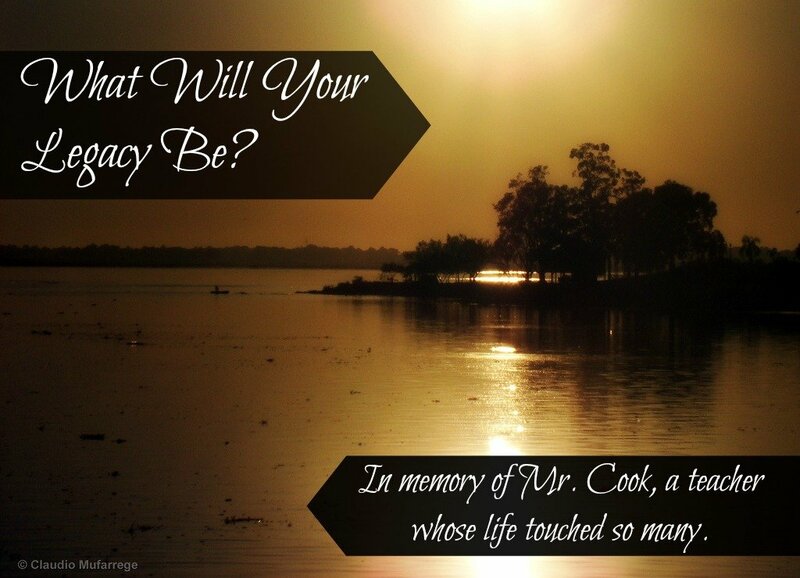 As I contemplate Mr. Cook’s legacy, it leaves a question for the rest of us: what will our legacy be? When we reach the end of our lives, will we have made such a difference? Will we have consistently showed our love for others? Teachers, will our students remember us with fondness? Will they remember that we cared, that we helped them learn, that we made a difference in their lives? Are we pouring into them each day, whether they appreciate it now or not? I pray we can all leave a legacy like Mr. Cook’s. If you knew Mr. Cook, what is your favorite memory? If you didn’t know him, share a memory of one of your great teachers. Just leave a comment below.